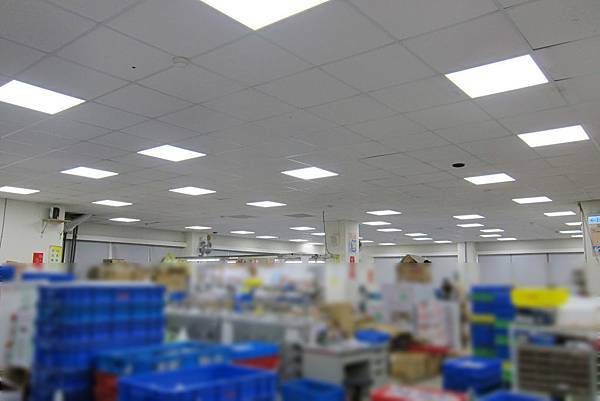 36-watt OSRAM LED ultra-thin plate lights & lighting installation process evaluation. Use LED light source 100PCS replace T8 light source 138PCS. the owners use our new program to replace the lamp position. 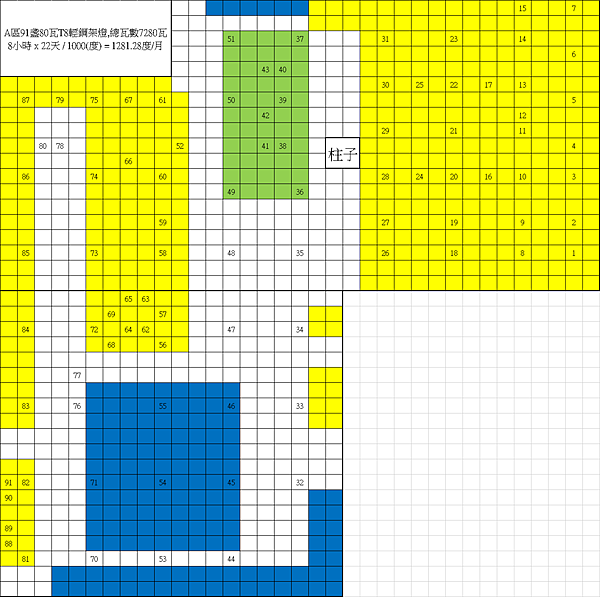 B area is reduced from 47PCS to 37PCS. 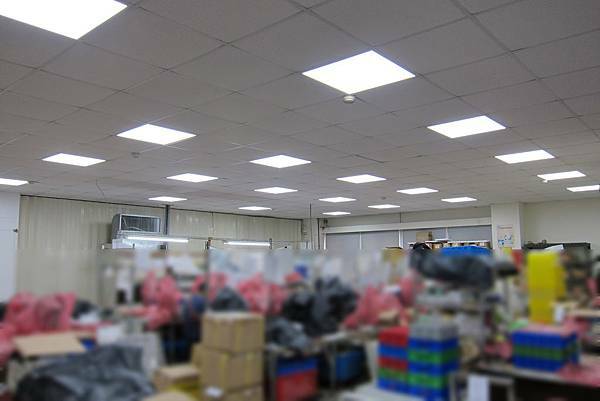 Lamps reducing the total 38PCS, decline of 27%. Using Simulation software planning lighting position to avoid insufficient illumination! 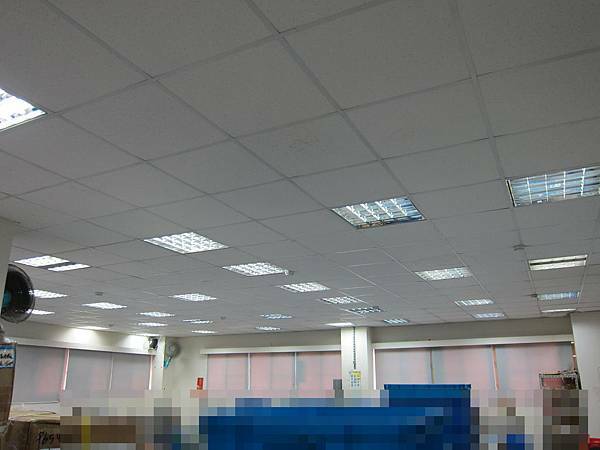 Floor height of 2.6 m, an average illuminance planning desktop 550 ~ 700lux. Simulation than after, the planning installation time. 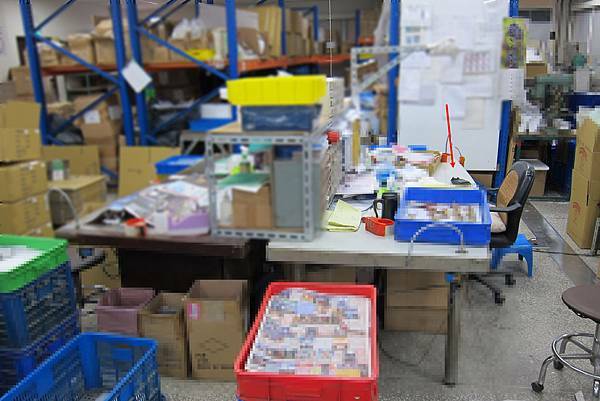 Before installation, the main items covered to avoid dust and rat feces fall. By planning the installation of lighting. According to the requirements of owners retain some lamps. Replacing lamps also keep the environment clean and tidy. Lamp holder and lamp separation recovery! 2. The power consumption drops 15,713.28kw / years. 3. The cost savings NTD70,710 / years. 4. Life of up to 40,000 hours. 8. reduce the indoor temperature 2 to 3 degrees. 9. easy to clean, reducing maintenance costs. 10. The two-year warranty, the new replacement. Using OSRAM 5630 LED intensity higher than 2835 commercially available. 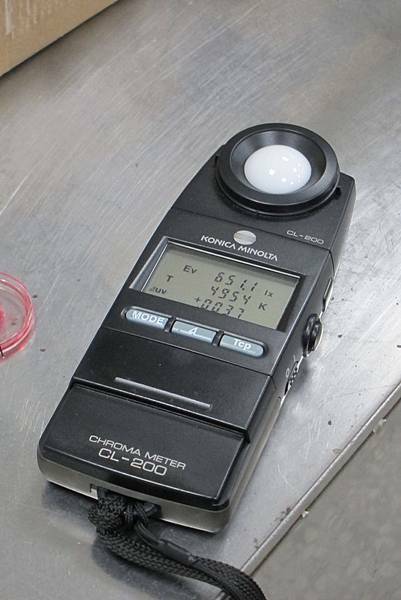 better than the commercial lighting 250lux ~ 300lux performance. Each batch are tracked by integrating sphere record.